An instant classic in the parenting genre. This is the book I wish my parents had had when they adopted me and my two brothers. 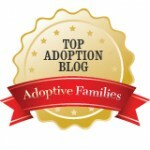 The Open-Hearted Way to Open Adoption is receiving rave reviews. Now I know why. The Open-Hearted Way to Open Adoption: Helping Your Child Grow Up Whole is Lori’s first book, born from listening to hundreds of people living in adoption — adult adoptees, birth parents, adoptive parents and adoption professionals. An acknowledged thought leader in the area of open adoption. 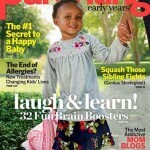 Lori Holden was named a Top 10 Must-Read Mom by Parenting magazine and was honored at the annual BlogHer Conference in 2010. She also had an article published in Parenting and in Conceive magazines at that time. 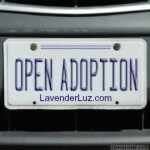 Her blog, LavenderLuz.com, has been listed by Adoptive Families magazine, Circle of Moms and by Grown in My Heart to be one of the top adoption blogs. Increasingly recognized as an expert in the field, Lori has spoken at BlogHer conferences about Adoption/Loss/Infertility (ALI) issues about authenticity in writing. She is a regular columnist for Mile High Mamas, a Denver Post site. She received the 2013 Commitment to Excellence Award and keynoted at the Parenthood For Me Gala in Rochester, NY.